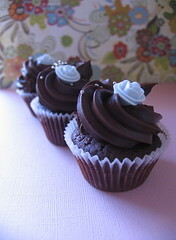 probably the nicest chocolate mud cupcakes you'll ever taste!!! 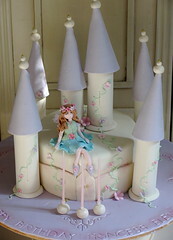 Fairy Castle Cake.......everything is edible. 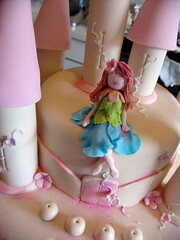 Design Exclusive to "Le Cupcake"
Edible icing fairy on a Castle Cake. 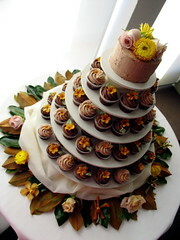 A beautiful wedding!! 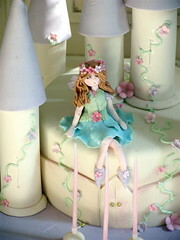 The setting was Luna Park (Crystal Palace) & believe me it was gorgeous!!!! 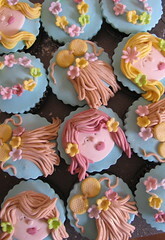 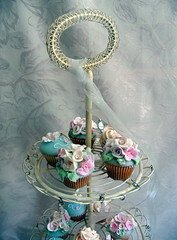 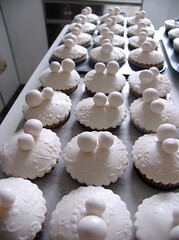 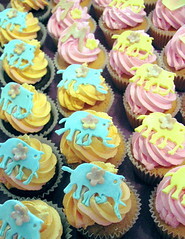 Le Cupcake has made the lace embossed / patterned cupcake all the rage!! 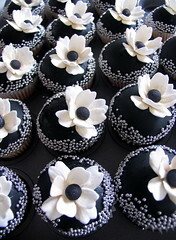 Gorgeous black cupcakes adorned with hand made edible flowers & silver cachous.......design exclusive to Le Cupcake. 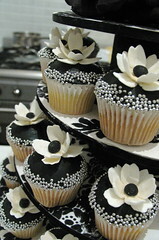 Black cupcakes adorned with silver cachous & hand made edible flowers, on a custom desinged stand exclusive to Le Cupcake..